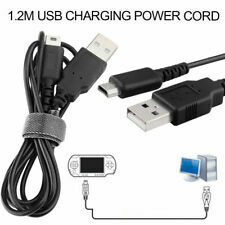 This list applies to the USB charging cable for Nintendo DS Lite console. 4 Pin USB A to DS Lite USB B connection. Original Nintendo Brand AC Adapter Model USG-002 Power Cord for Nintendo DS Lite. Condition is Used. Shipped with USPS First Class Package. Power Cord for Nintendo DS Lite. 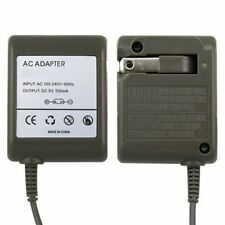 AC Adapter Model USG-002. 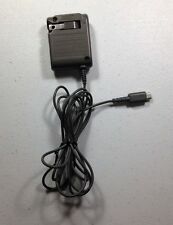 Original Charging AC Adapter USG-002 (USA) for Nintendo DS Lite Console. Tested a nd in Great Condition, this is a Genuine Nintendo Adapter not a third party AC Adapter. This does NOT affect adapter at all. Just thought I should point this out. Works like new. I do my best in showing pictures & describe the best to my ability & I HAVE NO INTENTIONS OF DECEIVING OR LEAVING OUT any information that I believe is important in making your purchasing decision. Compatible with: Nintendo DS Lite only. Model C/USG-USA-1. Console works well, but is in rough shape. Has NO accessories. It has been tested and works well. This is a great working unit- Nintendo DS Lite Gaming unit. NOW ON SALE ! Nintendo DS Lite comes with Box Power Cord Instructions Super Mario Peach Case 2 Games Monster Vs. Aliens Let’s Draw Condition is Good Shipped with USPS Priority Mail. Gently used and in good, working condition. Nintendo NDSi. Nintendo 3DS. Features fold-away prongs for easy travel and storage. Cable Length. (2.56 x 1.81 x 0.91) " / (6.5 x 4.6 x 2.3) cm (L x W x H). 37.80" / 96 cm. Bundle of accessories and working DS Lite console 2010 with a sticker on the back. The console works and has playwear, 2 power cords work. Sold As Is as a bundle. Compatible with: Nintendo DS Lite. NOT compatible with: Nintendo DS/ DSi/ DSi LL/ XL. NOTE: For Nintendo DS Lite Only. Input: AC 100-240V 50/60Hz. Small and light weight accessory. Give us the chance to find an agreeable solution. Excellent service. Input: AC 100-240V 50/60Hz; Output: DC 5.2V 450mAh; Cable Length: 45" (115 cm).